.A £50 non-refundable deposit is required to confirm your booking. The balance is due a month before the holiday starts. 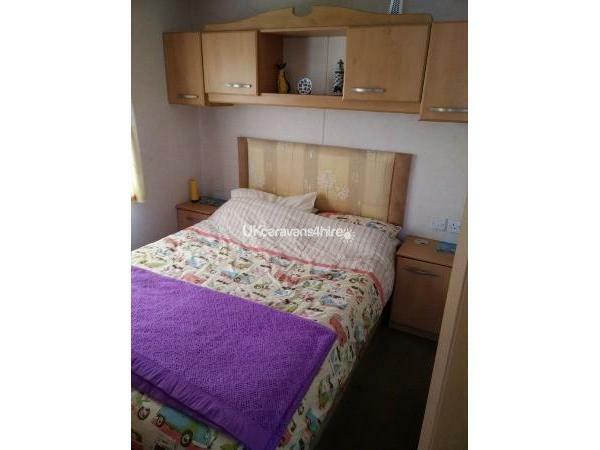 In addition there is a £50 damage/cleaning deposit which will be refunded if everything is in order when we check the caravan. This £50 is to cover any damage or additional cleaning that is required. I have decided to do this because of a few unfortunate experiences last season. Preferably this is to be paid by cheque. This way we don't cash it and return it afterwards. If you wish to pay by bank transfer it must be added to the cost. Cancellations. If we can re-let you will get your money back. The deposit is non-refundable. We operate a clean as you go policy. 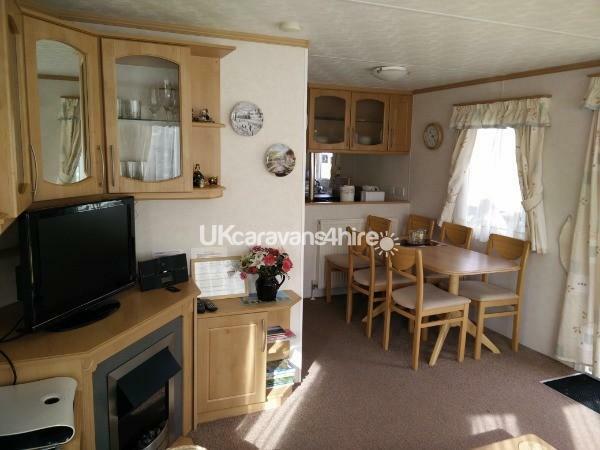 However, I do check the caravan before and after every guest. All bed protectors, bath mats etc are clean for each group of visitors. BOOKINGS-Saturday-Saturday during all school holidays and I will do Mon-Friday during peak season. Out of season I may consider a weekend, however this cuts into two weeks. No midweek bookings of two days for example. Due to current work commitments I am unable to do cleaning and servicing at weekends. Please enquire about deals for two weeks for example. You will notice some weeks are booked as unavailable. This maybe because I can't get down to do the cleaning. Please enquire. Imagine chalk cliffs towering majestically above golden beaches and sapphire blue sea gently lapping along the beach. A dramatic rock arch which has stood for millions of years; picturesque thatched cottages and quiet country lanes, set amongst a gentle rolling landscape. 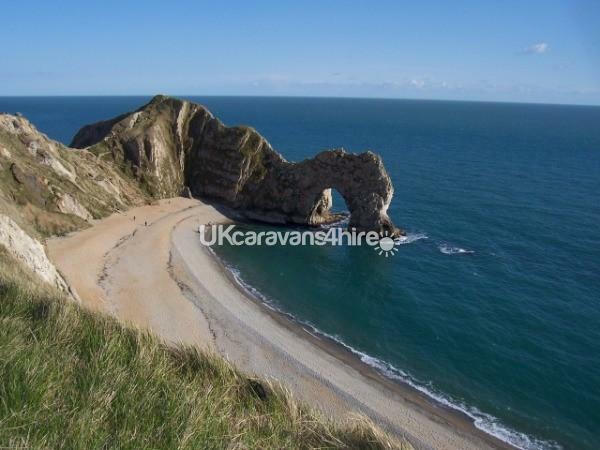 Our lovely 3 bedroom caravan is situated at Durdle Door Holiday Park, on the spectacular Dorset Jurassic Coast, near to Lulworth Cove. 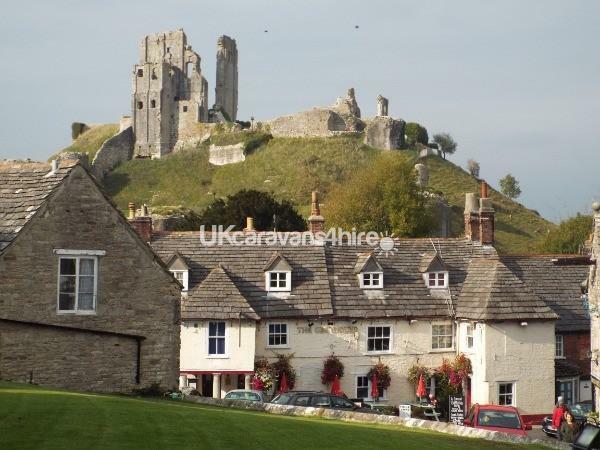 Just a few minutes walk from the caravan and you are on the South West coast path with it's uninterrupted views across the bay to Portland and in the opposite direction, along the Purbeck Coast towards Lulworth Cove and Swanage. 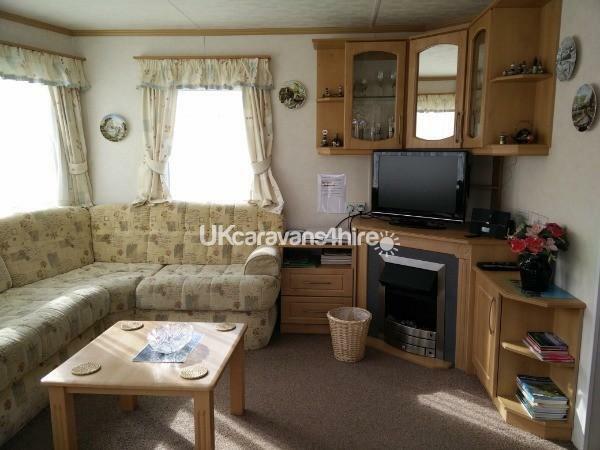 Our Pemberton Elite has three bedrooms, central heating, fully equipped kitchen with fridge freezer and microwave and a comfortable lounge area with Freesat TV and DVD. There is an additional TV and DVD in the main bedroom. We do not have a full Sky package as we feel that when you are on holiday you want to be out and about, not stuck in front of the TV! Freesat offers sufficient channels for most people. There is a drawer full of DVDs for your use, plus some books and games. There is an outside patio with table, chairs and barbecue. Parking is next to the caravan. 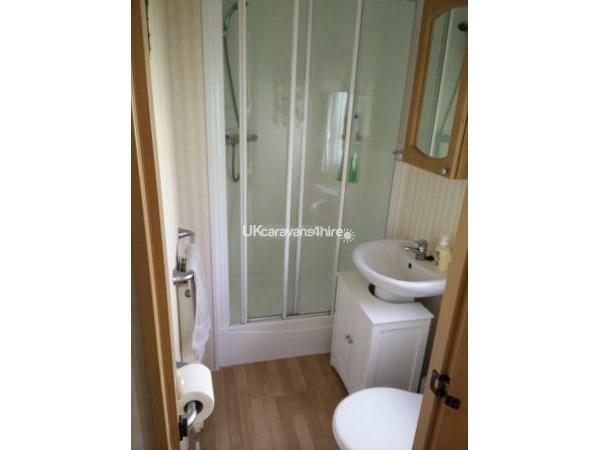 We do all the servicing ourselves as this makes sure that a high standard of accommodation is maintained. All bed protectors, pillow protectors and bath mats are changed for every group of visitors. On arrival there is a welcome pack of tea, coffee, biscuits and milk. We also provide tea towels and toilet rolls and little items such as salt,pepper, vinegar, washing up liquid, hand soap etc. The only thing you are required to bring is bed linen and towels. Duvets and pillows are provided, as are extra pillows and blankets. We have never used it ourselves but I have been told that Tesco and Asda will both do deliveries to Durdle Door Holiday Park. The coast path passes close to the site and offers some spectacular walks. Some are quite challenging and we do recommend that you are reasonably fit and able and are properly equipped before embarking on a long walk. 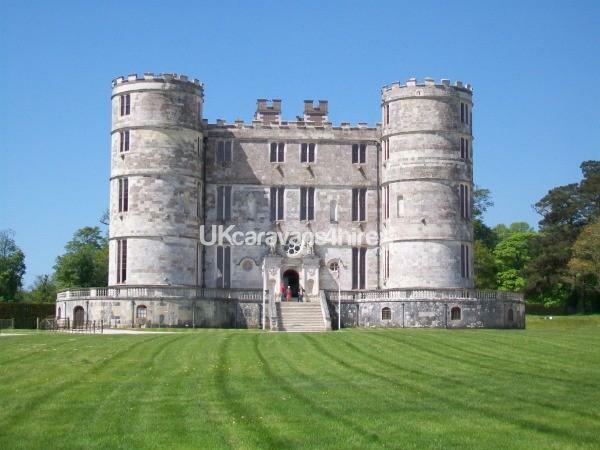 Also nearby to Durdle Door Holiday Park and highly recommended are Monkey world, The Tank Museum, Swanage Railway, Corfe Castle and Weymouth and Portland. There are also some lovely pubs offering good food and that are child friendly. These are in addition to the bar/restaurant on site which we also recommend. 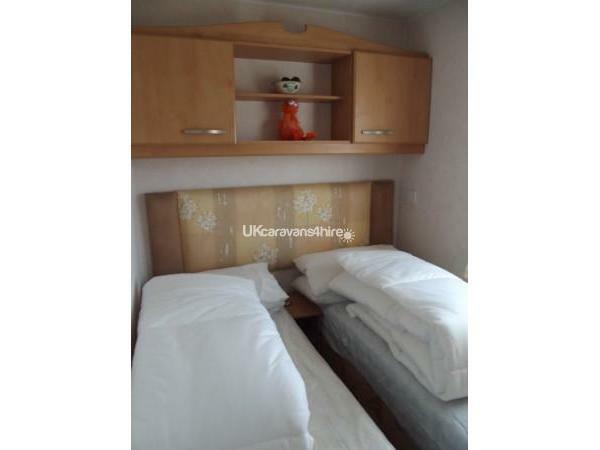 The site is very safe, the staff are friendly and helpful and you will have a lovely time. 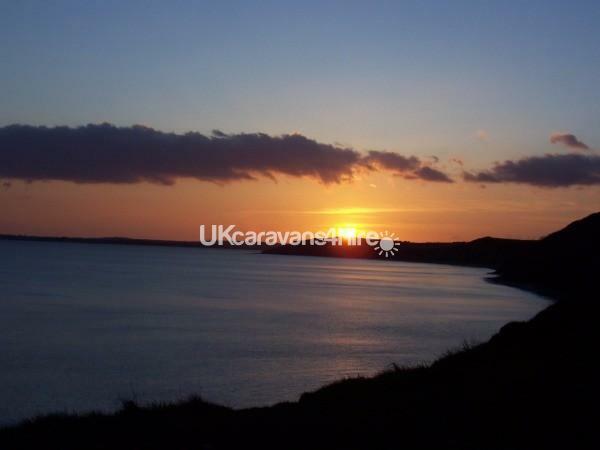 Due to the location of the site we do recommend that you have the use of a car to make the most of your holiday. 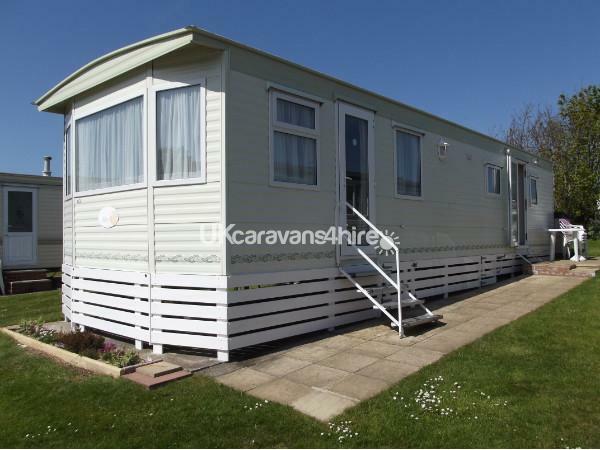 We look forward to welcoming you to our caravan. Please refer to the availability calendar before inquiring. This saves both of us a lot of time. Thank you. There are a couple of conditions. 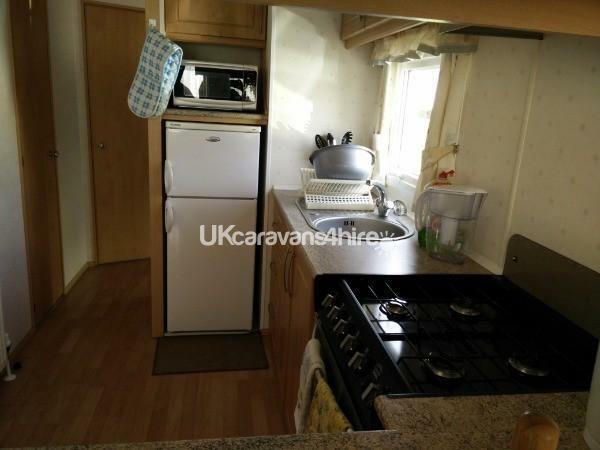 This caravan is not suitable for wheelchair users due to steps up to door and a narrow passageway and doors inside. We are unable to accept ANY pets due to allergies. Because of this we will know!! The damage deposit will be kept in this case. The same applies to smoking. In line with Government legislation smoking is not permitted in any part of the caravan. This includes sitting on the steps as the smoke blows back inside. 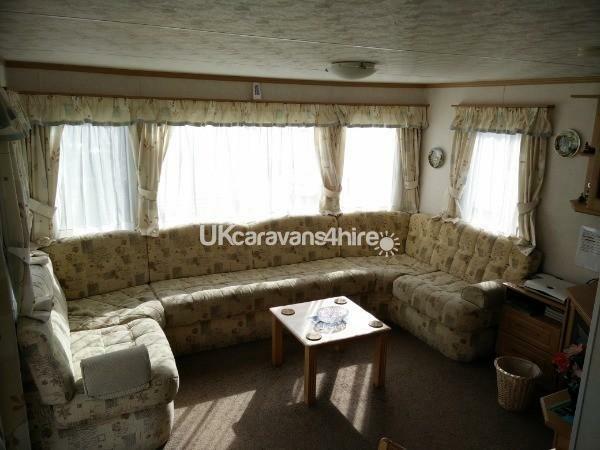 Bookings are for a maximum of six people. This must include any infants. Our insurance covers us for this number of guests, no more. In the case that more than six people are found to be staying you will be asked to leave immediately. There will be no refund. Unfortunately this has happened, not to us, but to other private hirers. The park has very good security and we are informed if anything is amiss.